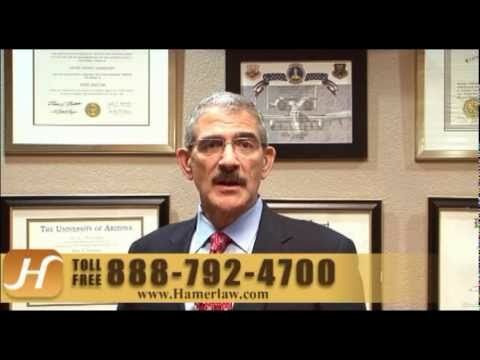 The Hameroff Law Firm in Tucson is routinely called upon to represent clients who have suffered catastrophic or life-altering injuries as a result of another’s negligence. We have made it our mission to stand up for severely injured accident victims and their families in southern Arizona for over 25 years. Any injury that results in permanent disability has to be handled differently in court. It is extremely important to understand that there are lifetime expenses associated with treatment, rehabilitation and long-term care after a permanent, life-changing or catastrophic injury. Scarring and disfigurement caused by burns, dog bites, motor vehicle collisions, etc. We take a comprehensive, hands-on approach to helping our clients obtain maximum recovery. We work with the family and respected independent experts — vocational rehabilitation specialists, economists, life care planners, etc. — to ascertain the true lifetime cost of a catastrophic injury and pursue the full and fair compensation our clients are due. We are connected to a network of trustworthy attorneys who can help our clients obtain any disability benefits — Social Security disability (SSDI), Supplemental Security Income (SSI) or workers’ compensation — that may be available and appropriate. Call The Hameroff Law Firm in Tucson at 520.792.4700 or 1.888.792.4700 today to discuss how our experienced Arizona catastrophic personal injury lawyer can help you maximize recovery in an insurance claim or lawsuit. You also can email us at info@hamerlaw.com with any questions or to schedule an appointment.